This past weekend I had the opportunity to take a behind-the-scenes tour of the wine making process at Boxwood Winery in Middleburg, Virginia with some fellow DC bloggers and DC Wine Week Ambassadors. Our tour guide was the wonderful Rachel Martin, Executive Vice President of the winery. The vineyard is located on the highest elevation of the 16 acre property, and after analyzing the soil it was decided that Bourdeaux varietals would be planted – Cabernet Sauvignon, Cabernet Franc, Merlot, Petit Bordeaux and Malbec. 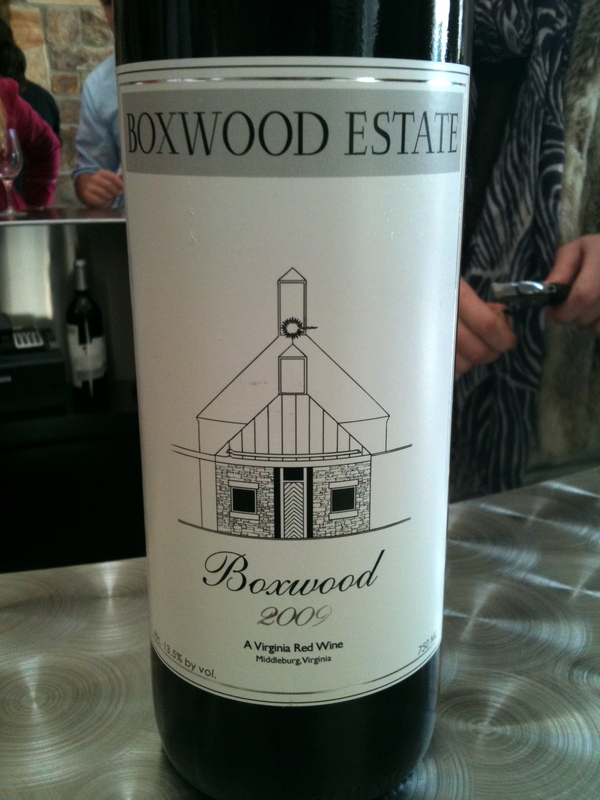 All of the wines produced at Boxwood are blends. The first step in wine making process is to grow a good grape. To do that, Boxwood Winery uses a high density planting plan to maximize the ripeness in each berry cluster. Vines are planted close together to create competition, which forces the plant to be more efficient in where it puts its energy. Right before the grapes change color, half of the fruit on the vine is dropped so that the maximum energy of the plant is going into fewer clusters. As a result, grapes that are more ripe and sweet are produced. Oh and mother nature also has to cooperate; that means no monsoons. All of the grapes are hand harvested and only the clusters that have less than 50 percent damage get to move onto the next step. Next is the fermentation process. 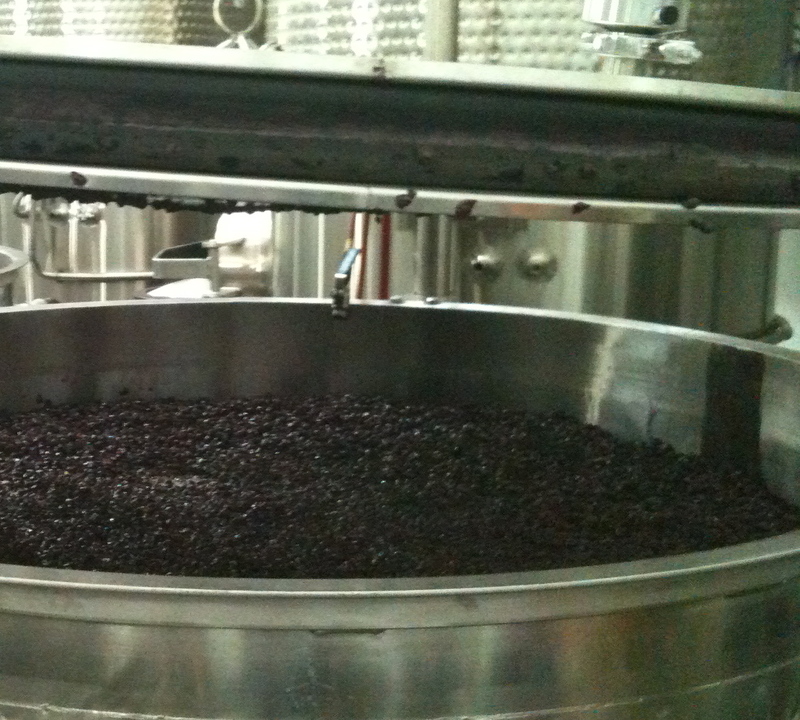 The grapes go into a tank and yeast is added to convert the sugars into ethanol and carbon dioxide. Because the ethanol pushes the grapes to the top of the tank, they need to be pressed down to extract the remaining juice. It’s important that pressing is only done once the maximum aromatics, tannins and flavors were gotten from the grapes. The juice then gets blended depending on what kind of wine is being made, and continues fermentation in another tank. In about 21 days, right before the juice turns bitter, it gets extracted and put into an oak barrel for the year-long malolactic fermentation process. The barrels are airtight and the proteins in the wine are broken down. 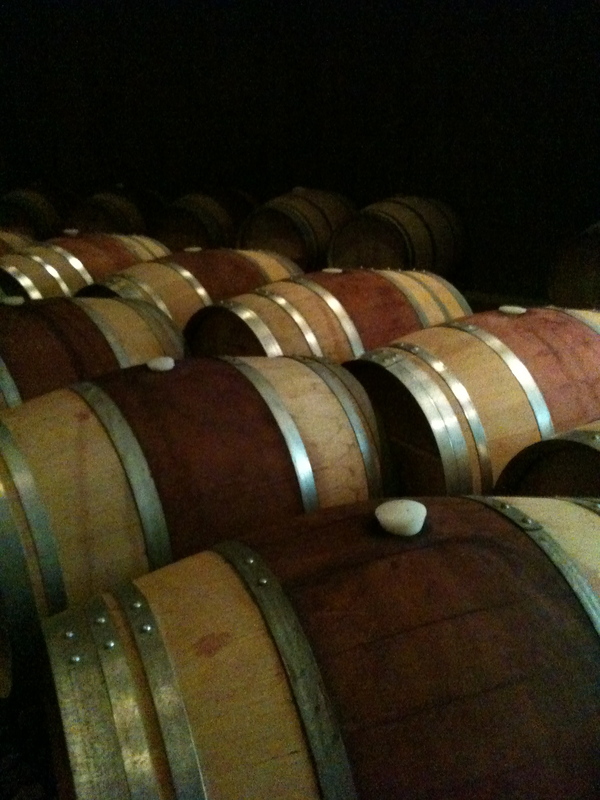 Once the malolactic fermentation has started you can actually hear the wine bubble in the barrels because of the CO2 that is created. Once the following year’s wine is ready to be put in the barrels, the wine is then bottled. Boxwood Winery actually has a bottling machine at the facility which is usually rare for wineries of their size. And there you have it: the wine making process in a nutshell! The only thing left to do now is to enjoy a glass; I sure did. Most of Boxwood’s wines are available online and reasonably priced. 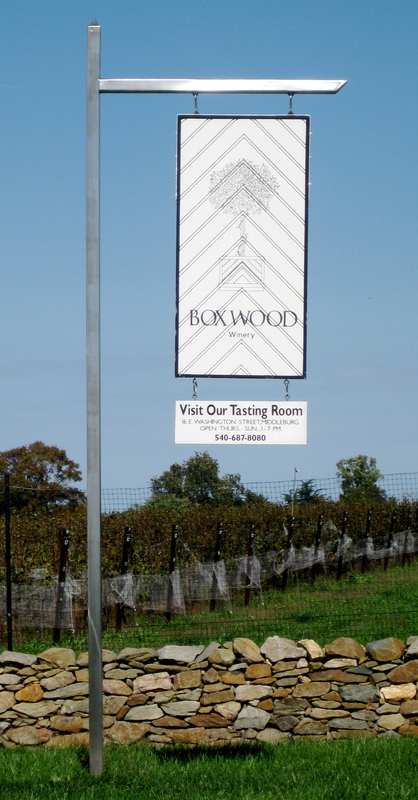 Or if you want to book your very own tour of Boxwood Winery, click here. Lastly, I just want to give a quick shout out DC Wine Week for this awesome opportunity and urge you to check out some other great events going on throughout the week!